May | 2009 | NICE! Site promoting D&G’s range of jewellery. 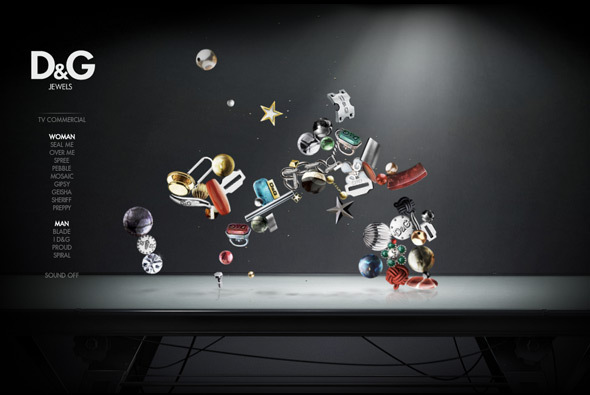 Very simple but engaging – the ‘jewels’ float around and interact with each other – when you rollover them they glow and other objects cannot go near them. It’s quite nice just to watch them bouncing around, when you click on one you zoom in and can see the object in more detail. Well designed and fun to use, nice! New portfolio site of British digital agency magneticNorth. Nice approach, using gesture recognition i.e. draw a line and you see news, draw a circle and we see a project. We’ve seen gesture recognition before but what I like about this one is the slickness & simplicity of it all – it just works. When drawing a circle to get a project the shape you draw becomes the mask for the content, where the video / screen grabs then appear in that area. Created by themselves, Brendan Dawes is the creative director – that kinda helps getting visual concepts like this working! 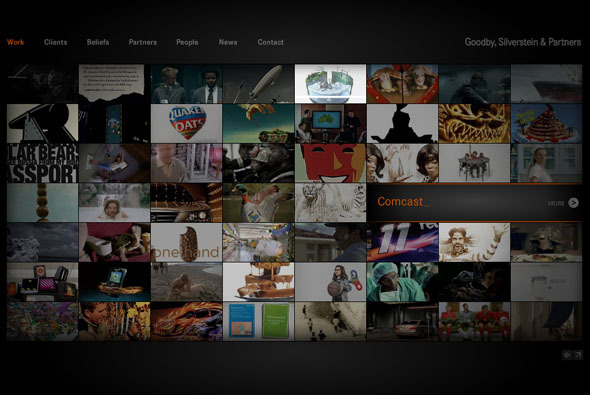 New site of agency Goodby, Silverstein & Partners. Pretty cool site of successful digital agency GS&P, this site is a nice example of an agency portfolio, lately a lot of agencies are opting for the html/blog style – but this is full Flash with videos and slick transitions. I like the main landing page with it’s plethora of videos, the search function is really cool, you can search for say a client name i.e. HP and all the projects featuring HP will be highlighted – this search mechanism also works in other sections of the site such as ‘people’ and ‘news’. 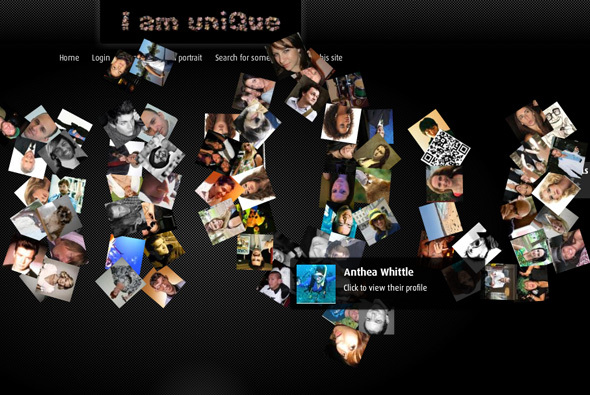 The ‘people’ section of the site is actually really cool too. 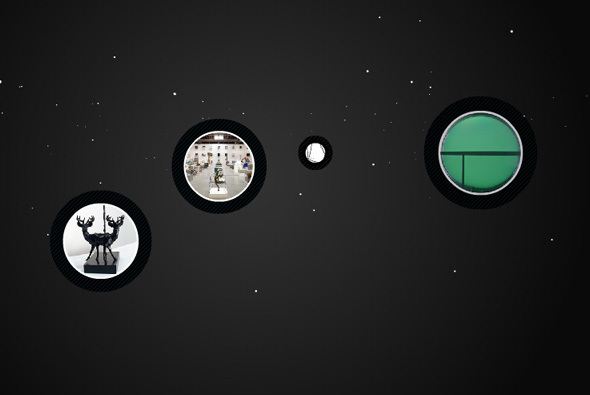 Well coded with lots of cool transitions and animation – worth checking out. Site of make up artist Pepgay. 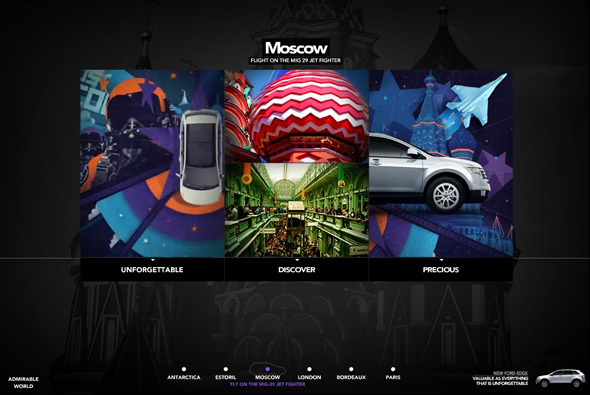 Nice fullscreen Flash site with some beautiful photography, I like the way two images at a time are displayed – many really full of colour and depth. Nice bold typography and bottom thumbnail scroller, also like the way when you mouse over to the left the menu fades up – so when your mouse isn’t active you can see the images in all of their glory. 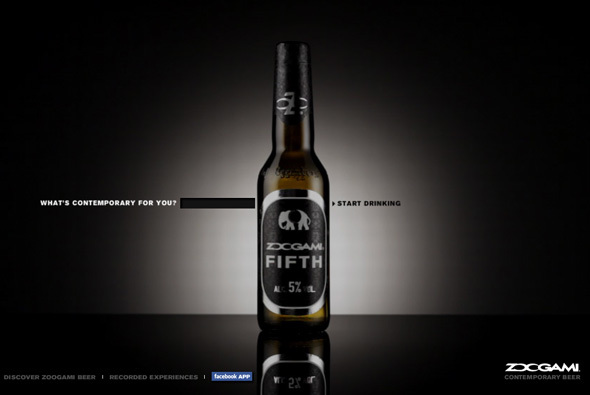 A good example of a portfolio which is slick, stylish, and to the point. Created by 2otsu – Oriol Bedia. Site promoting Uniqlo’s range of bra tops. As usual Uniqlo provides another cool microsite promoting a new product, this time videos of 100 women talking about the bra tops. On top of this content is a layer of red dotted lines which draw things over the screen and ask simple questions about bra tops, at any time you can find out more about the products on display. Presented in a slideshow type way, as with many of Uniqlo’s online work you can sit back and watch, it’s clean, cool, and so so simple. 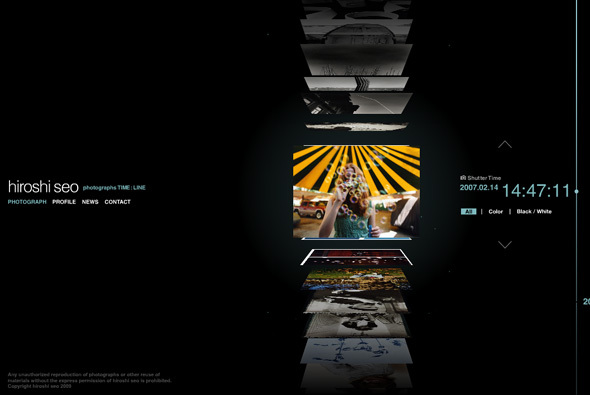 Portfolio site of photographer Hiroshi Seo. Slick timeline based interface which allows you to quickly scroll through thumbnails of his photos. 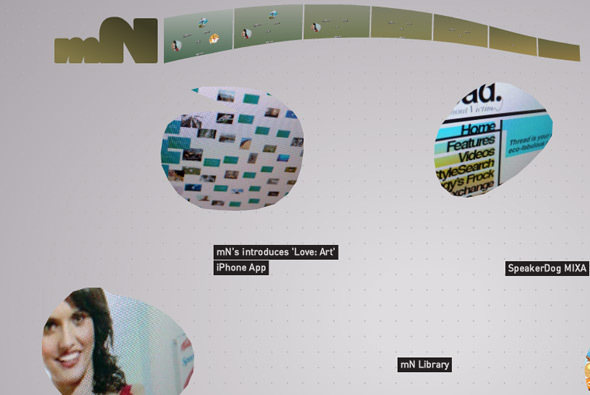 Each of the thumbnails are 3d and flip upwards, much like a vertical coverflow interface, and organised upon time – on click the photo enlarges. Really like the scrolling interface, and the whole minimal slick look & feel. All in all a very nicely made photographers portfolio with some really nice touches with smooth fluid animation, nice interface that fits the content well. 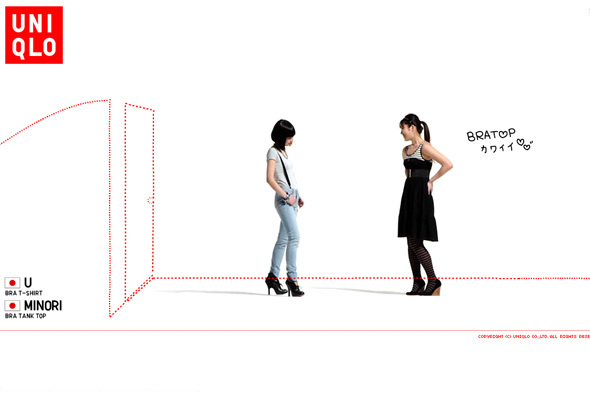 Cool playful site of clothing label alice + olivia. Really simple with a touch of surreal, each section of the site has objects which can be thrown around the screen, bouncing off the sides of the screen and each other. Even when viewing the collection you can pick up and throw around the models. Nice and clean and simple, to the point yet fun and playful. 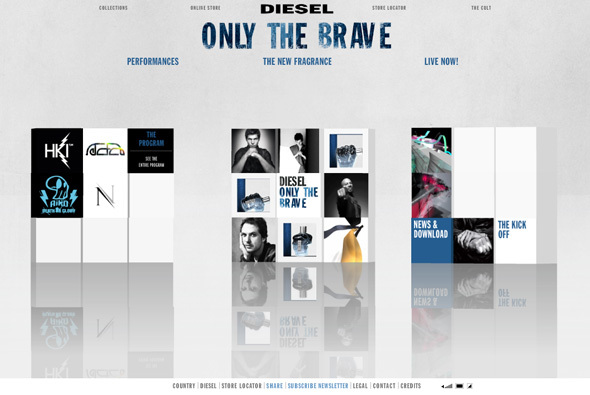 Site of Diesel’s new fragrance, ‘Only The Brave’. Based around a series of 3d cubes featuring ‘performances’ when opened show 3d rooms with video and designs featuring work by the likes of Mr Doob, Nico Stumpo, Eboy, and Hellohikimori, and many more to come over the next few months. You can also see the print ads and see the bottle the fragrance comes in. Yes another 3d site, this is quite nice though, it’s a cool idea to use modern digital artists to create the 3d rooms, the rooms themselves are pretty interesting, although unfortunately it just reminds me of the Absolut ‘In an Absolut World’, but essentially they have put their own spin on it. Also they have used a physics engine on the 3d blocks, so when each section loads the boxes interact with each other, overall a nice site! Very simple site of ‘I Kiss Fitness’, a personal training company. A very minimal, simple site outlining the company and it’s services, what I liked about it was the pretty cool use of 3d, bending images and especially the way the text explodes as you move your view around in the different sections, thats it! 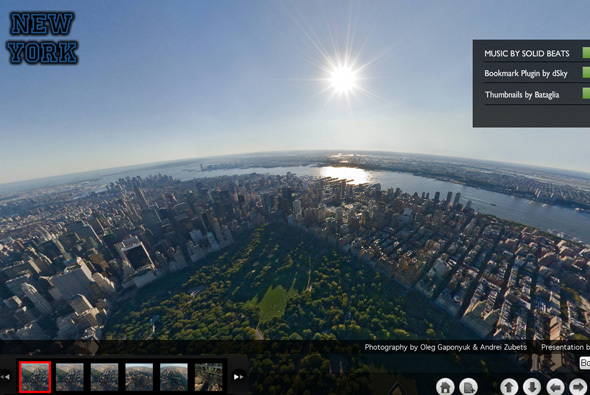 A showcase of Pixelcase’s high resolution panoramic photography above New York. Presented alongside a nice atmospheric soundtrack we our view moves around amazing photographs of New York – all taken from above. I like the way you can drag your view around, combined with really amazing in depth photography it really feels as though you are there – having a big monitor helps! Site promoting the new Ford Edge. Nice looking site with lots of animations, transitions, and so on, bit of a weird one, I guess because it is mainly for the Brazilian market the copy does not translate across so well. Nothing ground breaking, but interesting and varied animations, attention to detail and lots of movement, all making it visually ‘exciting’.